I know its frustrating when an avocado isn’t ripe enough to eat when you buy it and you end up having to eat the whole thing in one day or you have to throw it out. 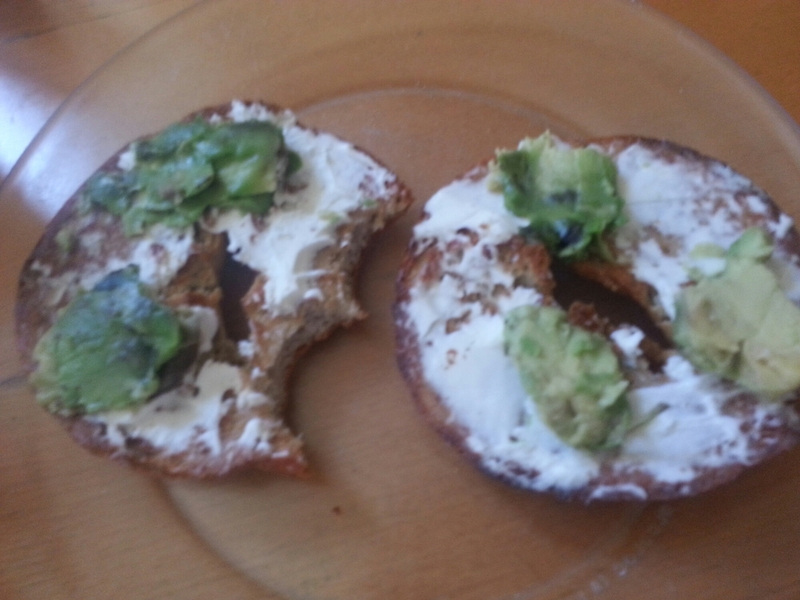 Sometimes I like a bit of avocado thrown on my cream cheese bagel. I do not know how it would taste with other bagel toppings. If you’ve never had avocado on a bagel before (and already like avocado) I recommend starting off small and putting an amount based on what you would normally consume. Don’t start off too crazy and throw the whole avocado on there. Unless you reallyyyy and absolutely love avocado haha (no judgment here). If you’re bold, nix the cream cheese and go with the avocado on its own (I have not tried it myself). The first time I had this was at Au Bon Pain where I frequently get breakfast before commuting to my college’ s campus and I’ve loved it ever since. I personally would have it on almost any type of bagel. Plain, sesame, everything, perhaps not cinnamon raisin because the sweetness of the raisins may make a gross combo mixed with the avocado. Now, the only difference is this bagel in particular happens to be gluten free and I make it myself at home. You can make it at home too. Slice it up however you like it. 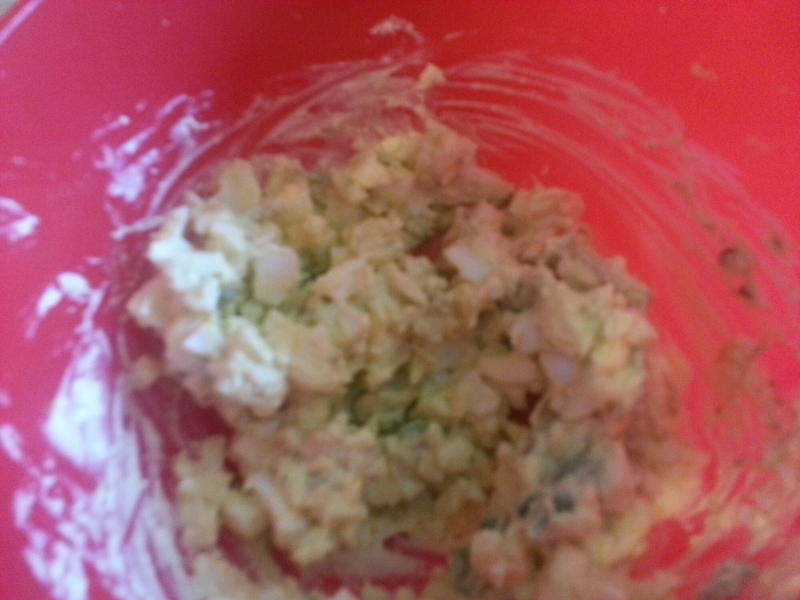 For this example, I used my avocado in Egg salad. If you’re a pescatarian you may prefer the Tuna salad. I have tried Avocado in Tuna salad and a sandwich as well and it is just as heavenly. The avocado gives both a nice creamy smooth consistency. If this is not the consistency you desire, then it is not for you. I recommend only using a just ripened avocado for these ideas. The avocado should be a nice greenish yellow. If the avocado is too brown you may wish to consider eating it by itself or tossing it (a light brown on top is alright but not dark brown). Or as a side dish with the bagel, tuna or egg salad. Either way, they make a nice combination. These are just two ways to use up your tasty avocado. If you have more ideas you would love to share: comment and share them with the avocado loving community.